Are you an underrepresented college student, post-baccalaureate student, or re-applicant SERIOUSLY interested in becoming a physician? 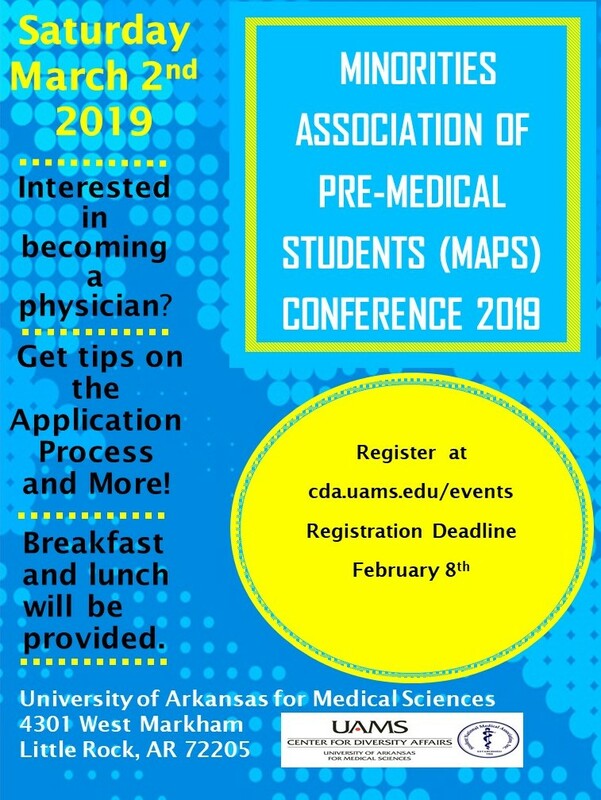 The Edith Irby Jones Chapter of the Student National Medical Association will be hosting its annual Minority Association of Pre Medial Students (MAPS) Conference Saturday, March 2nd, 2019 at UAMS. The event is FREE to register and students will take a tour of notable sites on campus, receive counseling on ALL aspects of applying to medical school including MCAT, building a CV, interview and recommendation letters, as well as succeeding as a re-applicant, getting a mentor, and multiple breakout sessions.